Subject Line: Alabama Parent | We need your thoughts on education beyond high school! This message is sent at the request of the Alabama Workforce Council. As we begin 2018, the State of Alabama is working to identify how best to empower current and future members of Alabama’s workforce to complete post-secondary degrees and certificates that support long-term job success. 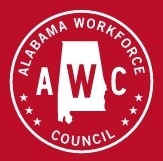 As an Alabama resident, member of the workforce, and parent of future workforce members, we need your thoughts on education beyond high school! Your perspective will help state leaders obtain a deeper understanding of this important issue. It will only take 5 – 7 minutes of your time to complete this online survey. All responses are anonymous. You can complete the survey on a desktop, laptop, tablet, or smartphone. We ask that you complete this survey by January 31, 2018. The survey is administered by Clarus Consulting Group, on behalf of the Alabama Workforce Council. If you have any questions regarding the survey, please contact Liza Soydan at liza@clarusgroup.net.